In April 2016, protests began at Standing Rock for the protection of Indigenous land, soon to be destroyed by colonial industrialisation in the form of the Dakota Access Pipeline. It was a moment that deeply shook humanity as reverberations of protests were felt around the world. People came from all over to join forces and many took to social media to show solidarity with Indigenous American communities. But over two years on from start of the events at Standing Rock, what is being done now to continue conversations around the happenings of the Dakota Access Pipeline and Indigenous rights in America? 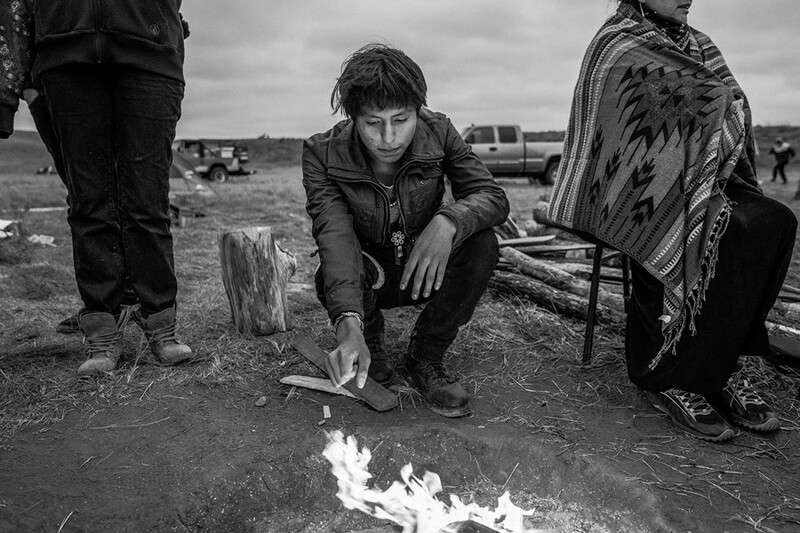 Photographer Josué Rivas believes photography can continue the proliferation of these stories, and intends to use his photo book, Standing Strong, – a set of black and white portraits from seven-months spent at Standing Rock – to do so. Taken from an Indigenous perspective, the book beams with authenticity and focuses on the spiritual moments of a time where Indigenous communities from all over America joined forces to protect their land. 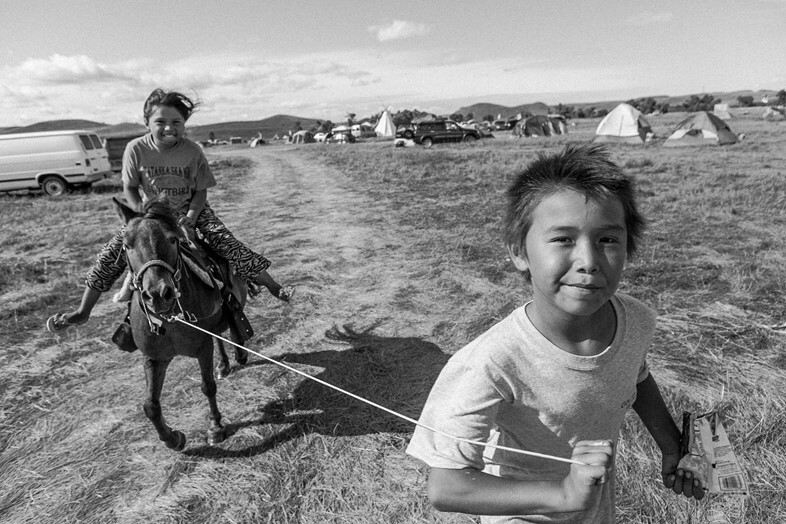 The winner of the FotoEvidence 2018, Standing Strong is a reminder that despite the decline in media hype, the pipeline is still an issue that deeply affects many lives. For example, three water protectors are facing potential sentencing for their protesting, including one man who could face up to 32 months in jail. Rivas’ work stands in solidarity for these people and urges anyone who bears witness to its images to do the same. 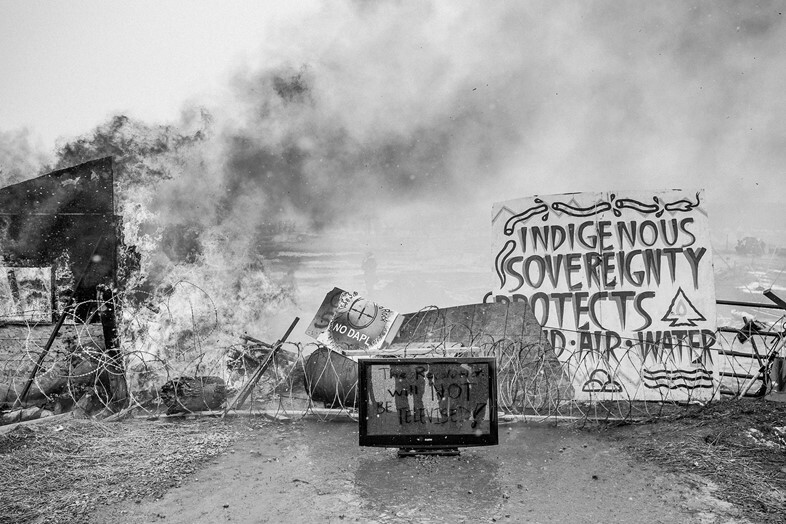 Beyond just addressing Standing Rock, Standing Strong works as a means for progressing the existence of Indigenous creatives and the opportunities available for them. Alongside the book, Rivas has set up a database called Natives Photographs that gathers a diverse group of photographers working in North America who people can request when trying to get assignments from Indigenous people. “Once we got there, things started escalating. I really quickly saw that there was very little media coverage, and that the only journalists on the ground were freelancers. The coverage that was coming out was from a very distant perspective. ‘Oh yeah there’s these native people in the middle of the country just protesting and they’re unhappy about this pipeline,’ is how it felt. But there’s so many layers to this story and there were so many indigenous perspectives on it that weren’t being captured. So a week turned into seven months. “When you work with indigenous people you have a different set of rules as a journalist because historically, a lot of these communities have been documented and portrayed in a certain way. Everything from National Geographic to the pipeline opposition. I knew I had to tell the story from an indigenous perspective. I learned how to do video recording and then I started photographing. I started participating in the ceremonies by giving back to the land and giving offerings to people. It was very important to do this before you try and photograph them. I wanted to show in a way that there are many underlying layers of the story. I’m not a trained photographer or anything so I used really simple techniques to be able to get out and go on the field and be with the people when they were just hanging out or praying. “One of the things Standing Rock did was the spark the process of healing – it was a step towards reconciliation. Humanity has been hurt for a very long time. These are stories of people who have been experiencing that process that has happened to humanity and indigenous peoples. Moving forward, the seed that was planted at Standing Rock – whether you were there or on the other side of the world – was a vibration that has moved the earth. It continues and I believe it’s going to shift who are as human beings. Standing Strong by Josué Rivas is the fruit of the 2018 FotoEvidence Book Award with World Press Photo. The Book Award is given each year to a photographer whose work demonstrates courage and commitment in the pursuit of human rights.